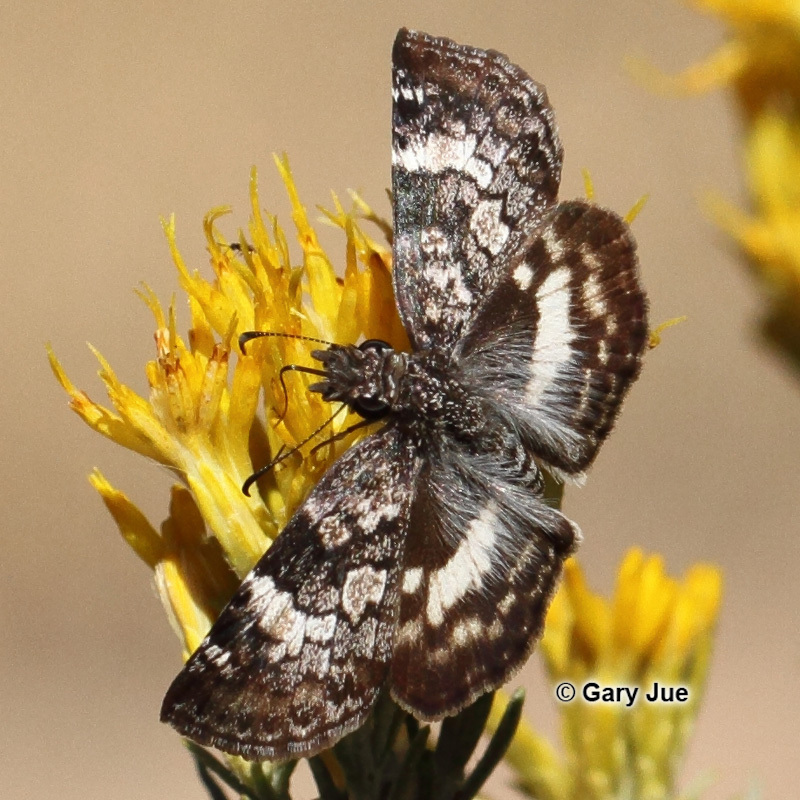 Identification: Upperside is brown-black with irregular chalky white patches. 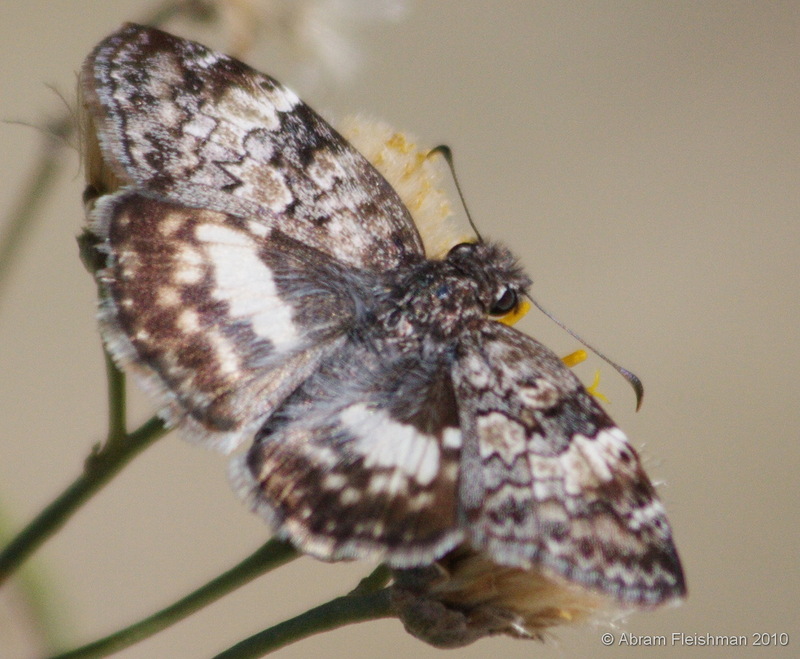 Underside is white with brown at the outer and costal margins. Life History: Females deposit eggs singly on leaves of the host plants, which the caterpillars eat. Caterpillars rest in leaf shelters. Flight: Three to four broods throughout the year in South Texas. Caterpillar Hosts: Barbados cherry (Malpighia glabra) in Texas and Gaudichaudia pentandra in Mexico; both in the Malpighia family. Habitat: Small clearings and edges in tropical woods, city flower gardens, roadsides, fencerows, streamsides. Range: Argentina north through tropical America to the West Indies and South Texas. Strays north to southern Arizona, Nevada, and Kansas. Conservation: Populations and their habitat in the lower Rio Grande Valley should be conserved.